Gunes (Evrim Alasya) is a 35 years old woman who has 3 daughters and works as literature teacher in Izmir (a city in the West of Turkey). 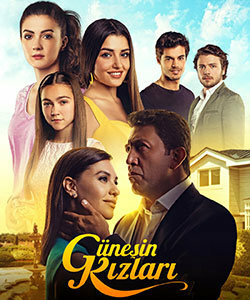 Since her husband left her without saying anything, Gunes has been living happily with her 3 daughters, all of them has totally different characters: 17 years old twins Nazli (Burcu Ozberk) and Selin (Hande Ercel) and 15 years old Peri (Miray Akay). Meanwhile Gunes meets a well-known successful businessman Haluk Mertoglu (Emre Kinay) who lives in Istanbul but comes to Izmir frequently to do business. Gunes and Haluk fall in love with each other. Although they have been seeing each other for just 6 months, Haluk proposes to Gunes and wants her to move in to Istanbul with her daughters. Gunes wants to get married to Haluk because she thinks that this time, she has found her perfect prince charming. However, there is one problem: Gunes has not disclosed her relationship to her daughters yet.